This tool offers instant help for spirit, soul, or physical issues. For personalized help, book a Focused Session. COMING SOON! This session is for those who need to discuss a specific problem or issue (spirit, soul, body). But we’ll briefly explore other areas of your health. Come on a journey with me, and we’ll explore your whole health. This partnership should enhance many areas of your life. I love what you're doing. It is unique. I love your ministry. I'm a Christian yogi and energy healer. I love this ministry. When I was looking for a path back to God, he showed me you. Reading about free church and spiritual healing really opened my eyes to a life of Christianity, and I am SO excited about it. Now I've learn my life through Christ, and it has gotten better. I love the openness and attitude of service that you all have. I love the content and the message. It brings me so much peace when I get my newsletters. 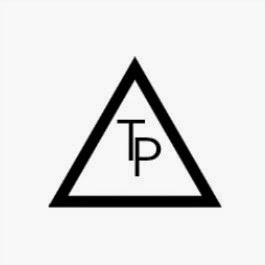 Tp ministry has helped me feel connected to people who believe in what I believe, and I have not found that connection in my beliefs elsewhere! I am grateful to God for all of you and the Tp ministry. I'm gonna keep this short because I'm a "Talker." I've always believed that it is/was God who leads me to "alternative" methods of cleansing/healing. Alternative meaning the healing power of crystals, herbs/flowers, sound, light, etc. Even the healing powers of food! I was afraid to talk about it because of it being called "demonic." In my search for understanding from a Christian perspective, I found the Tp ministry, and you guys have helped me to open up more to people about God's wonderful creations and how they are available to us for healing! And it is OK. I so appreciate the full spectrum of our God. You have helped me find balance between being spiritual, maintaining my relationship with God and balancing my energy. I always thought growing up wearing stones, meditating and aligning chakras was evil. And I knew I was an empath but loved God. I didn't want to be disobedient. But your IG has really encouraged me and brought peace to my spirit. Thank you. I used to be pagan and my relationship with herbalism and healing was very occultic. Your ministry is helpful in integrating my walk in Christ with my calling in healing. Find it so amazing how you focus on wellness as a whole as part of your ministry. Many people forget such an important aspect of life, and personal wellbeing along side Christ's guidance creates new life. Keep doing what you're doing! I’m encouraged every time I read a blog post or email. Thank you for leaning into the freedom we have in Christ. You are a wonderful example of his grace and love. I found your site originally because I had questions about being a Christian and using crystals. I appreciate that your suggestion is to always pray and receive guidance from the Holy Spirit. I also appreciate your honesty and straightforwardness with regard to whatever topic is being discussed. It's refreshing and I feel like we could all benefit from more discussions like this. Thank you for your insights, they've been very helpful! I found your page when searching for any connection between the Bible and acupuncture, which I have found to be very helpful in my spiritual life. And then I started really connecting with how you join many other things, such as plants and crystals, that help me to feel grounded and centered with biblical teachings. No one around me does such a thing and I was feeling conflicted because I didn't want to be living a life that wasn't biblicaly based. I am so appreciative of the tp ministry because it resonates with a part of me where no other 'christian blog' has. I appreciated the time spent advising me a few years ago, free of charge. This is a unique and meditative resource for people like me; wanting to simply show up as ourselves and receive nourishment, in a creative way, without having to change but rather feeling the sense that what makes me unique is valuable and good. Very inspiring, please keep developing. Thanks. I'm an ex-New Ager that practiced various types of energy healing, and when I first turned to Christ, yours was one of the first sites I explored. Still not sure about various forms of energy work and yoga, but am allowing the Lord to lead me.